Wow! I don’t care if these are for St. Patrick’s day, these are just gorgeous cookies! I love the ingredients! What’s the icing? The topping is a tasty smear of melted white chocolate. 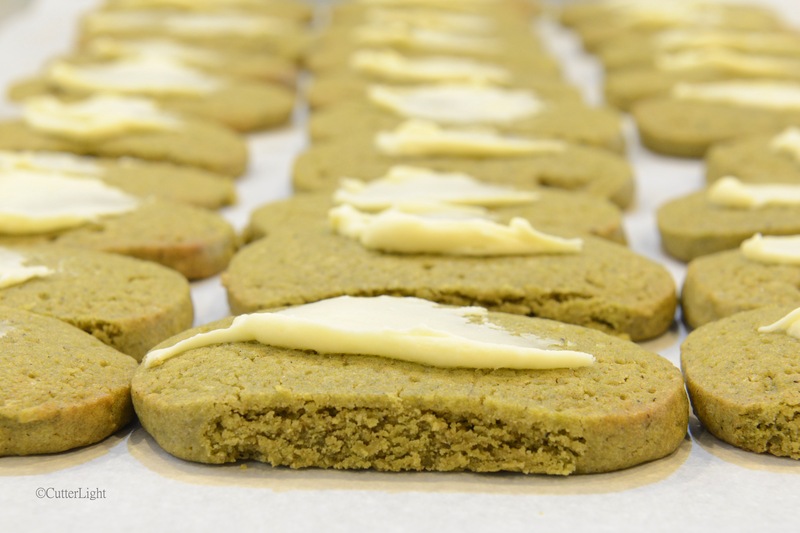 The combination of white chocolate and matcha is irresistibly delicious.